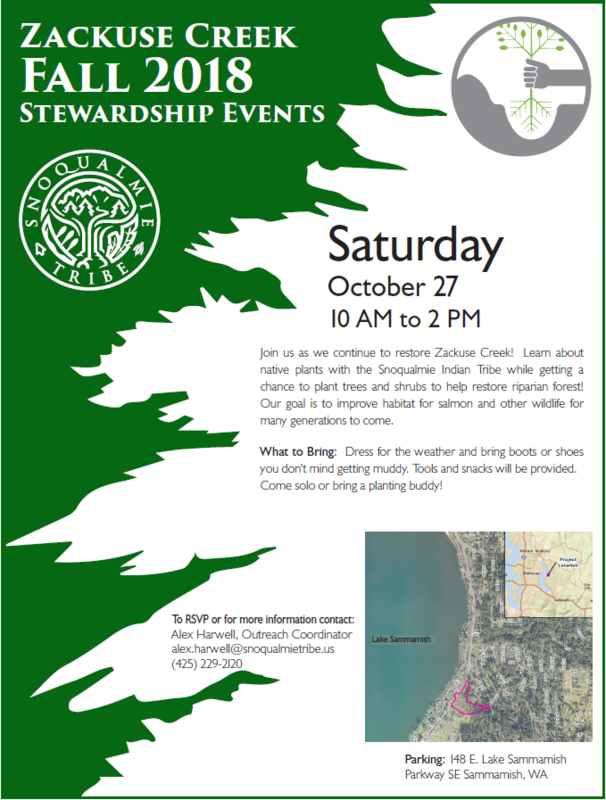 Volunteer with Friends of Lake Sammamish State Park and learn about native plants while getting a chance to plant trees and shrubs to help restore riparian forest! Our goal is to improve habitat for salmon and other wildlife for many generations to come. Native vegetation and trees are not only critical to the health and beauty of the park but critical to healthy salmon runs and clean water. The November event will consist of weeding, mulching, and invasive species removal. We promise you will work hard and have fun. More importantly, you'll that will support the health of the park’s habitat and wildlife. Wear sturdy shoes and weather-appropriate clothing. Gloves, tools and snacks will all be provided by FLSSP. Habitat restoration events are open to adults and children ages 10 and up. Tours meet at Sunset Beach bathhouse.